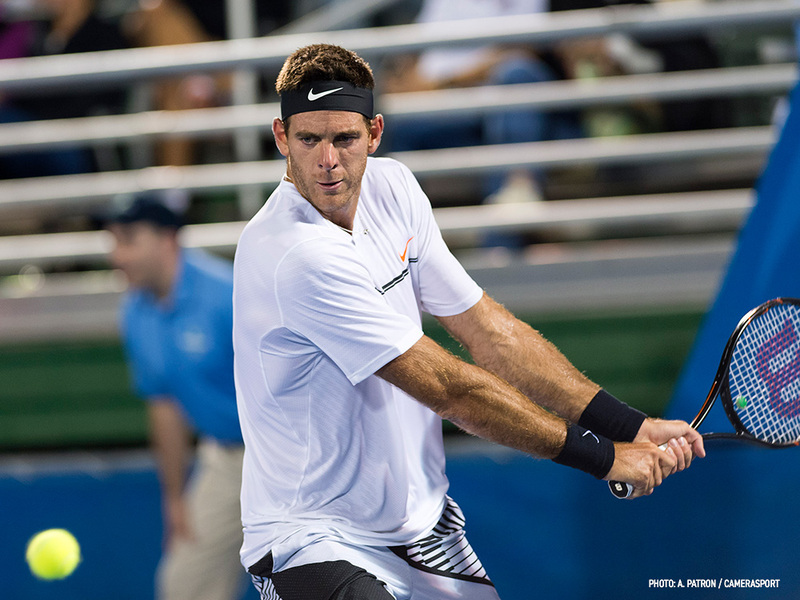 DELRAY BEACH, FL: 2011 Delray Beach champion Juan Martin del Potro, 2016 World No. 3 Milos Raonic, and defending champion Jack Sock will all return to the Delray Beach Open for the 26th annual event February 16-25, 2018 at the Delray Beach Stadium & Tennis Center. The four-time Delray Beach champion Bryan Brothers doubles team will also return. A “pre-sale” will enable fans the first chance to buy tickets during a two-week window that coincides with the upcoming US Open. 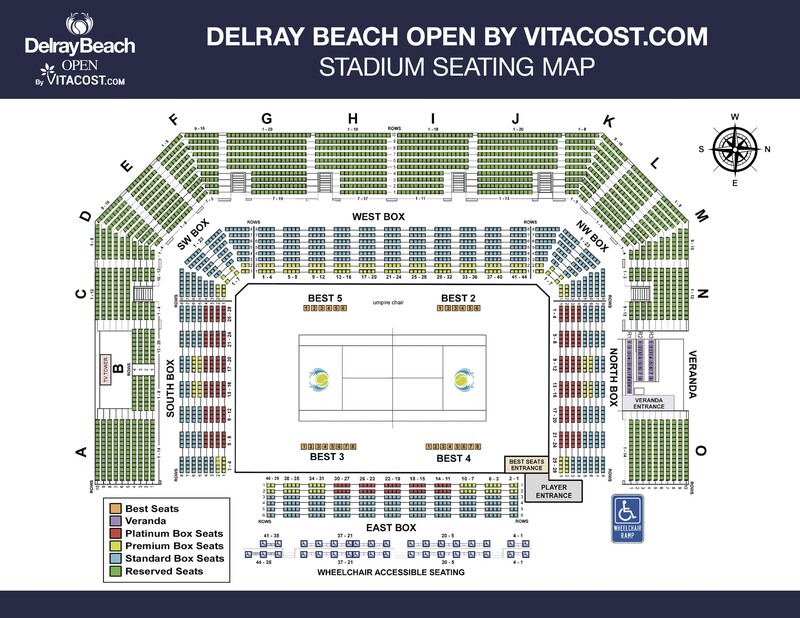 The pre-sale will include Delray Beach’s three premier opening-round matches. Raonic’s first-round match will be featured Tuesday, Feb. 20 at 12:30 pm (Session 7) while del Potro plays in that evening’s 8:00 pm prime-time slot (Session 8). The Bryans will open their tournament playing the feature match on Wednesday, Feb. 21 at 8:00 pm (Session 10). 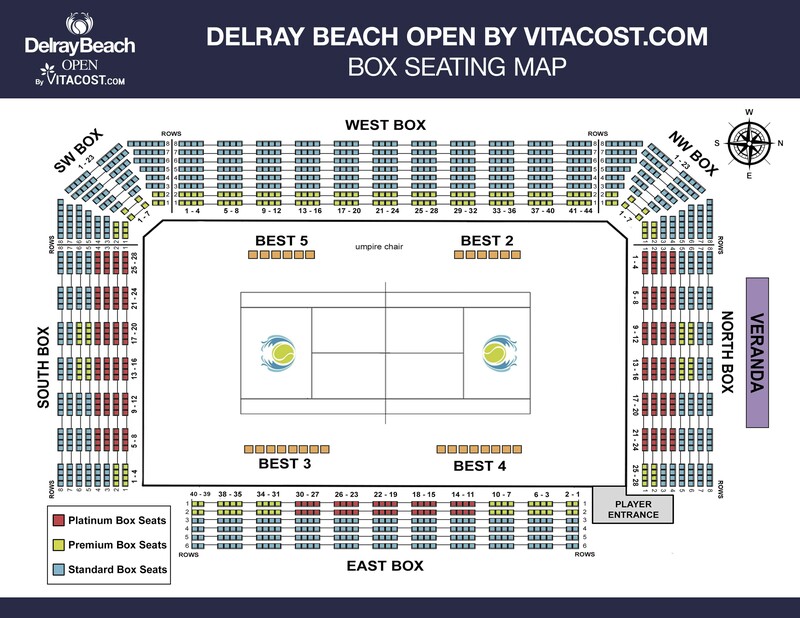 The Delray Beach Open pre-sale is Saturday, Aug. 26 through Friday, Sept. 15 and will include all sessions, including the prior-mentioned premier matches, and quarterfinals, semifinals and finals. Tickets are available at Delray Beach Open Tickets at the Delray Beach Open box office via 561-330-6000. The three ATP World Tour singles stars figured prominently in the 2017 Delray Beach Open. The top-seeded Raonic and top American Sock reached the final, and Raonic and del Potro squared off in the semifinals. After withdrawing from the final with an injury, Raonic told fans that he would return to Delray Beach, and he has not disappointed. 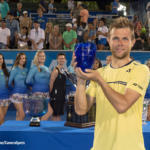 The 10-day 2018 Delray Beach Open will begin with a six-player ATP Champions Tour event over President’s Day weekend (Friday, Feb. 16 – Sunday, Feb. 18), continue with the ATP World Tour singles and doubles draws starting on Monday, Feb. 19 and conclude with the ATP World Tour finals on Sunday, Feb. 25. Series packages for all 17 sessions are also available during the special “first-chance” pre-sale. Courtside Box Series packages are $1,700 for two seats or $2,750 for four, while the on-court Best Seats in the House and covered Stadium Veranda packages are up to 60 percent off regular prices. Best Seats are discounted to $3,000 for two seats or $4,500 for four, and Stadium Veranda seats are $3,500 and $5,000, respectively. Del Potro, 28, has won 19 ATP World Tour career titles and led Argentina to the 2016 Davis Cup title. The two-time ATP World Tour “Comeback Player of the Year” has dealt with wrist injuries in recent years; 18 months ago he slipped to a ranking of No. 1,045 but a comeback that began in Delray Beach in 2016 has lifted him back into the world’s Top 30. The Argentine also opened his 2017 season in Delray Beach, reaching his second straight semifinal in the “Village by the Sea.” Figuring in his 2011 title, he sports an 11-2 mark on the Delray courts. When then-world No. 4 Raonic played his first-round match in Delray Beach in February, he became the highest-ranked player in tournament history. In 2017 he has also reached the Istanbul final, and was a quarterfinalist at both Wimbledon and the Australian Open. His best year-end ranking (No. 3) came in 2016 after reaching the Wimbledon final, the Australian Open semifinal and winning the Brisbane title — the eighth ATP World Tour title of his career. Sock, a Kansas City resident currently ranked world No. 18, has been on a steady climb since 2016. The 24-year-old is 28-14 this year, highlighted by two ATP titles, his first Master Series 1000 semifinal at Indian Wells, and his fourth Master Series quarterfinal at Miami. Sock’s ATP World Tour title in Delray Beach was the third of his career. Along the way Sock has recorded a pair of Top 10 wins over world No. 5 Kei Nishikori and Raonic. Sock also won the 2014 Wimbledon doubles title, and won gold in mixed doubles and bronze in doubles at the 2016 Rio Olympics. The Bryan Brothers have reached a record six finals in their 10 Delray Beach appearances. The pair share 113 ATP World Tour doubles titles, 16 Grand Slam titles, a 24-5 US Davis Cup record that includes the 2007 title, and an Olympic gold medal in London (2012) and bronze in Beijing (2008). A complete schedule of all Delray Beach Open match times is posted at YellowTennisBall.com. Tickets can be secured at 2018 Delray Beach Open Tickets or by calling 561-330-6000.